We welcome students and their families into a close-knit, positive learning environment dedicated to assisting children with special learning needs the opportunity to succeed. We look forward to meeting your family, to answer your questions, to host you on campus and explore how your family may become part of St. Mary Academy community. 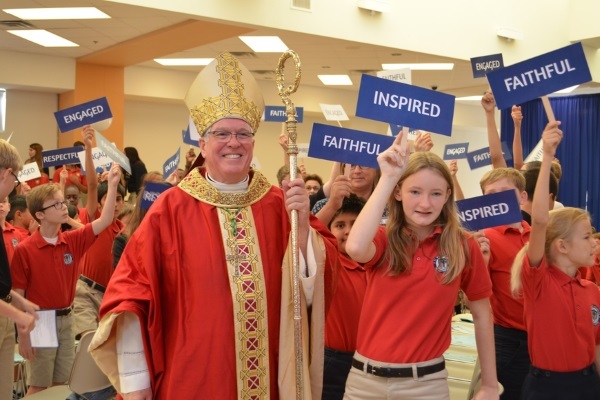 Our Mission: St. Mary Academy develops a strong foundation of faith, values and knowledge for students with special learning needs while aspiring to challenge our students to achieve their individual potential. ​​in the administration of education policies, application for admission, or payment program.